Colleagues honored emeriti faculty, Johannes and Julia Weertman, during a symposium at Scott Hall on November 16. 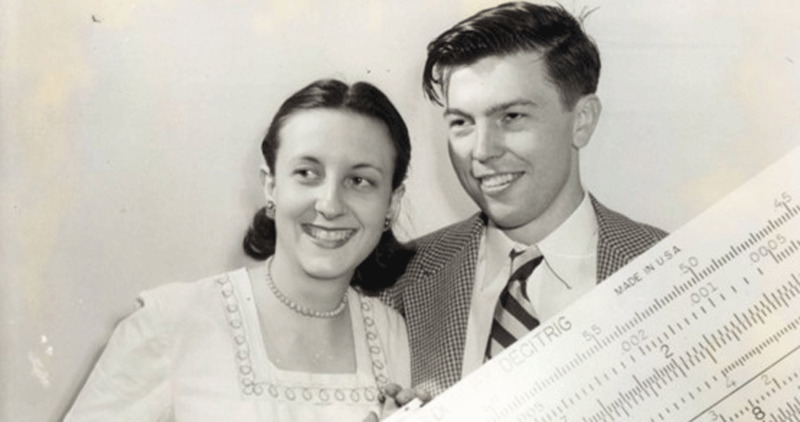 Many will remember Julia and Johannes “Hans” Weertman as an academic power couple whose materials science research at Northwestern Engineering spanned decades and garnered them multitudes of awards. But the legacy they left when they passed away earlier this year also includes stories of professional dedication, mentorship, personal passions, and friendships — stories like Julia’s letter-writing campaign in support of a Cuban dissident, and Hans’s quest for the perfect emerald for Julia. Dozens of friends, family, and colleagues gathered at Scott Hall on November 16 for a daylong symposium and remembrance in honor of the Weertmans. More than 24 colleagues and former students from universities and research institutions around the world shared research experiences and personal stories. Such a turnout was “a real testament to the impact the Weertmans had on our department,” said Erik Luijten, chair of the Department of Materials Science and Engineering at the McCormick School of Engineering. 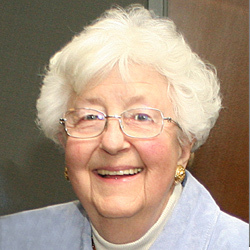 That generosity was evident in Julia’s willingness to provide mentorship to the next generation of female engineers. Andrea Hodge, vice provost for undergraduate programs and professor of engineering at the University of Southern California, was a graduate student in Dunand’s lab and became close with Julia, who offered her advice on how to succeed in a male-dominated field. “We would hang out, eat chocolates, and talk, and she would tell me what to do and what not to do,” Hodge said. Hodge said she was envious of the Weertmans’s caring relationship, where each provided personal and professional support. When Julia told Hans she wanted a pure, untreated emerald as a birthday gift, the couple enlisted Hodge, who is from Colombia, to find such a gem in her home country. “It became my mother’s job for two years to find a mine that would sell us a 3-carat emerald that was untreated and certified by the Colombian Gem Society,” she said, laughing. Helena Van Swygenhoven, professor at the Paul Scherrer Institute and École Polytechnique Fédérale de Lausanne in Switzerland, joked about the messiness of the Weertmans’ offices — “But they always knew where everything was laying,” she said — and talked about how Julia implored her to find a good use for the nanocrystalline materials she had worked to understand. Now, such materials are used for watch springs and for nickel titanium stents. “Julia always said, ‘The best things come in small packages,’” Van Swygenhoven said. Van Swygenhoven also told about a time she came across a framed photo of an Antarctic island hung in the Weertmans home. It turned out the island was named Weertman Island after Hans, in honor of his contributions to the theory of glacier flow. Kevin Hemker, Alonzo G. Decker Chair in Mechanical Engineering at Johns Hopkins University and president of The Minerals, Metals & Materials Society (TMS), spoke of Julia’s letter-writing campaign in support of Marta Beatriz Roque, an imprisoned Cuban economist whose writings offended the Castro regime. Julia wrote letters to Roque, Castro, and the US government, calling for Roque’s release. “Julia became a very strong advocate for Marta,” he said. 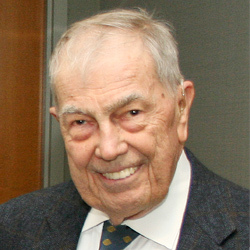 Hemker said the Weertmans were the only married couple to be TMS fellows — in fact, Julia was elected the first female fellow in 1993. The society’s educator award was renamed The Julia and Johannes Weertman Educator Award in 2017. “For many generations, as people receive the educator award, they will hear stories and special memories of the Weertmans,” he said. Memories and honors like these are proof of the Weertmans’s legacy, said Julio M. Ottino, dean of Northwestern Engineering.